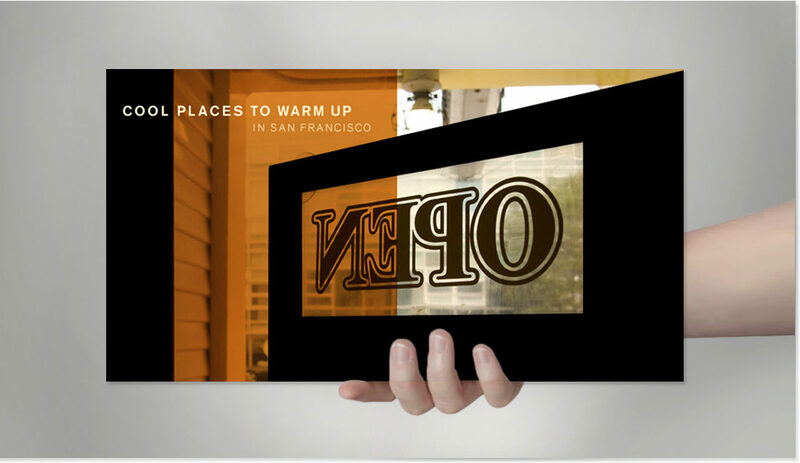 Cool Places to Warm Up in San Francisco is a guide to San Francisco’s hidden (and not so hidden) gems where one can go to have an extraordinary experience while taking shelter from the fog. There is one destination for every hour of the day. Destinations follow a path from Buena Vista Park to Dolores Park. The book is available at San Francisco Museum of Modern Art, de Young museum, and numerous bookstores in the U.S. This project was done while Laura Haertling was a principal and creative director at Hot Studio. On this project, Laura also functioned as the primary visual designer.